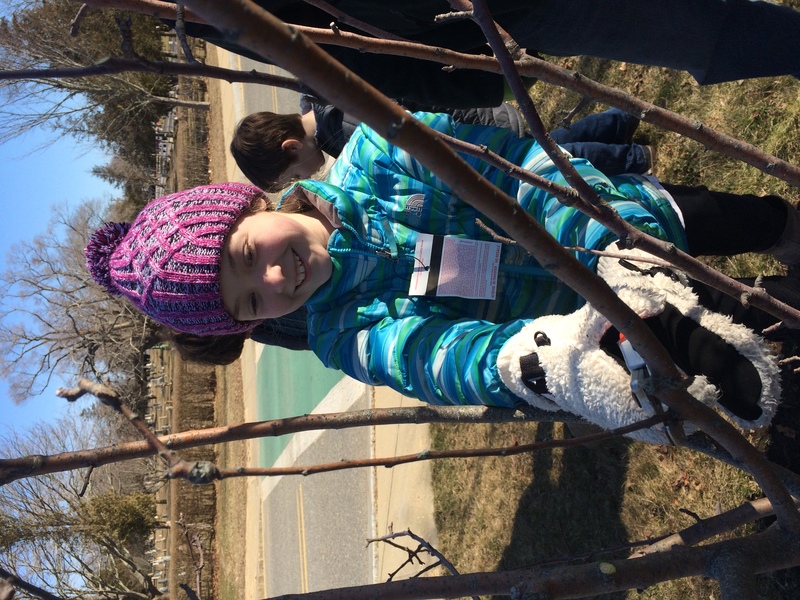 PHA Horticulturist Ben Madeiras and Executive Director Tim Boland continue to work together with Edgartown School students to revitalize the school’s fruit tree orchard. On Ben’s most recent visit (on Arbor Day), he led fourth, fifth, and sixth graders in preparing new planting areas: cutting tree rings, mulching, and weeding. On previous visits, students have had the opportunity to learn basic tool use and pruning techniques. The fruit trees are situated on the south side of the school alongside raised vegetable beds, a greenhouse, and native plant patches. The Edgartown School’s Farm and Garden Program is coordinated by Melinda Rabbitt DeFeo. Melinda—Islander, educator, and plant lover—has worked with many Vineyard organizations to develop environmental education programs. 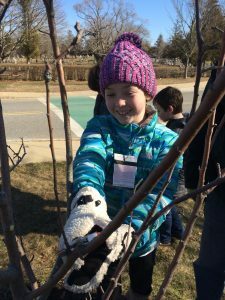 With the help of Arboretum staff, Edgartown students will soon be reaping the “fruits of their labor” from the school’s orchard.